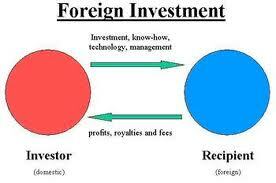 Problems and Opportunities of Direct Foreign Investment in Bangladesh. In this report mainly analyze the situation of Bangladesh for foreign investment. Here briefly analyze the economical situation, labor and skill, competitiveness of production efficiency etc. through analysis of data and information. Other objectives are to find the present structure for foreign investment and the government foreign exchange policy to attract the foreign investors to invent Bangladesh. Here also discussed about the incentive declared by government, the political and legal, currency inflation and other related meter to analysis the problems and prospect of foreign investment in Bangladesh.